Working life in Sweden - key characteristic of working life across a range of parameters. Based on the selected indicators in Eurofound’s European Quality of Life Survey (EQLS), quality of life in Sweden is high. All the indicators are above their EU28 averages. Sweden ranks highest among the EU28 countries in the level of optimism about one’s own future, with 85% of respondents feeling optimistic in 2016 compared with the EU28 average of 64%. Sweden is also the top-ranking EU country in regard to feeling free to decide how to live one’s life, at 58% of respondents versus 26% in the EU in 2016. Furthermore, respondents in Sweden reported a very high level of participation in sports or other physical exercise. Overall, 73% said they did sports at least once a week, compared to the significantly lower EU28 average of 42%. The prevalence of work–life balance related problems is lower in Sweden than on average in the EU. For instance, 55% of respondents in Sweden reported being too tired from work to do household jobs at least several times a month in 2016, which was lower than the respective EU28 average of 59%. Similarly, 25% of respondents in Sweden had difficulties to fulfil family responsibilities because of work at least several times a month in 2016, which was significantly lower than the corresponding EU28 average of 38%. Furthermore, 12% of respondents found it difficult to concentrate at work because of family responsibilities in 2016, again lower than the EU28 average of 19%. The gender-specific breakdowns reveal that women in Sweden report work–life balance problems more often than men. For example, 66% of women were too tired from work to do household jobs at least several times a month in 2016, significantly higher than the 44% of men. The majority of the indicators about quality of society in Sweden are better than their respective EU28 averages. Overall, 24% of respondents in Sweden participated in unpaid voluntary work at least once a month in 2016, significantly higher than the EU28 average of 10%. Furthermore, the Social Exclusion Index score of 1.6 in 2016 was the lowest among all the EU countries (on a scale of 1–5 where a higher value means a higher incidence of social exclusion). It was also lower than the EU28 average of 2.1 in 2016. However, perceived tensions between different racial and ethnic groups are higher in Sweden than on average in the EU. In 2016, 45% of respondents in Sweden perceived a lot of tension between different racial and ethnic groups, which was higher than the EU28 average of 41%. The majority of the quality ratings for public services in Sweden are above their EU28 averages, apart from the perceived quality of long-term care services which is slightly below the EU28 average (6.1 compared to 6.2 in the EU28 in 2016, on a scale of 1–10). The quality rankings have also remained fairly stable in recent years. For example, the perceived quality of public transport stood at 7.0 in 2016, similar to the 2007 and 2011 score of 6.8 in both years. The state pension system in Sweden received the lowest quality rating of 5.5 in 2016. However, this score was still higher than the EU28 average of 5.0 in 2016. This profile describes the key characteristics of working life in Sweden. It aims to complement other EurWORK research by providing the relevant background information on the structures, institutions and relevant regulations regarding working life. This includes indicators, data and regulatory systems on the following aspects: actors and institutions, collective and individual employment relations, health and well-being, pay, working time, skills and training, and equality and non-discrimination at work. The profiles are updated annually. 2018 was a year characterised by political uncertainty in Sweden. A general election was held on 9 September but resulted in a hung parliament after neither of the two major party blocs secured a parliamentary majority. The fact that no elected government was in place for almost a third of the year resulted in something of a standstill in labour market policy development and social dialogue. Many agreements made before the election were put on hold and no new reforms were announced. Not until mid-January 2019 did the parliament finally approve a new government – more than four months after the election – made up of a Social Democratic and Green Party coalition. The two parties thus remained in office for a second term. This time, however, in order to secure a parliamentary majority, the Liberals and the Centre Party participated in designing the political agenda for the years to come. The four-party negotiations resulted in what came to be called the January Agreement, a 73-point policy plan that the new government was set to implement in 2019. Two of the most intensely debated topics of 2018 were proposals for new strike regulations and plans to revise the Employment Protection Act. In both cases, the government stated that the primary responsibility for finding solutions to the underlying problems lay with the social partners but that the government would intervene if the issues could not be solved through bipartite negotiations. This naturally put pressure on the social partners to find common ground and in the case of strike regulations, the partners presented their joint proposal in June. As regards employment protection, bipartite negotiations looked set to begin in early 2019. Critics warned that both proposals – the reform of the order of priority rules in the Employment Protection Act and the new strike regulations, which would widen the applicability of the peace clause – risked limiting the influence of trade unions and thus upsetting the balance of power between the social partners. Others argued that both reforms were necessary to ensure a well-functioning labour market. Specifically, the order of priority rules was seen as antiquated and as a barrier to economic growth while the existing strike regulations were viewed as allowing for disproportionate financial damage to be inflicted by very small groups of workers. Sweden has an extensive welfare state characterised by universal coverage, high levels of social protection and a large public sector. The labour market is regulated mainly through collective agreements without interference from the government. Between 2012 and 2017, Swedish GDP increased by 8.6%. During this time, the unemployment rate decreased for all categories considered, in particular for young people, falling by 5.9 percentage points in this group and reaching a rate of 17.8% in 2017, when total unemployment was 6.7%. The employment rate over the five years was above the EU average in all categories. Youth employment rate was 54.7% in 2017, well above the EU average of 41.7% for the same year. The Employment Protection Act (LAS 1982:80) regulates the relationship between employees and employers in the public and private sector. It describes different types of employment and the rules that apply when employment is terminated. Some elements of the Employment Protection Act are often cause for debate, as they are criticised for costing employers too much and thus hindering employment. Defenders of the current regulations argue that the Employment Protection Act is crucial in order to guarantee employee rights. In 2016, an amendment was made to make it harder to keep an employee on temporary contracts for too long. The Codetermination Act (MBL 1976:580) regulates collective agreements, employees’ right of trade union representation and the right to join a trade union or employers’ organisation. It describes the rights and obligations during negotiations and conflict. The Swedish Work Environment Authority (Arbetsmiljöverket) is the labour inspectorate. The Swedish Work Environment Authority ensures that the Work Environment Act (AML 1977:1160) and the Working Hours Act ( ATL 1982:673) are followed. The main agreement regulating collective bargaining between social partners was set in 1938 (Saltsjöbadsavtalet). The agreement gives employers and trade unions the right to determine wages and employment conditions in collective agreements. Self-regulation through collective bargaining is a strong tradition on the Swedish labour market. Until the 1980s, bargaining mainly took place at the central level. But after an economically turbulent period due to the deregulation of the financial markets, the high inflation rate and no real wage growth, there was a subsequent shift in bargaining from the central to the sectoral level. Bargaining at the local level is also becoming increasingly common. The Industrial Cooperation and Negotiation Agreement (Industriavtalet) has set the norm for wages in collective agreements since 1997. The agreement is intended to ensure that wages are sustained at levels that take into account Swedish productivity and international competitiveness. The social partners in the industrial sector set a joint cost mark, which they promote to the wider labour market. This has generally been successful, although there is no guarantee that social partners in other sectors will adhere to the cost mark. In 2017, around 470 collective agreements were negotiated. The Industrial Cooperation and Negotiation Agreement of 2017 set the norm at a 6.5% wage increase over three year, which became the standard also for other sectors for the rest of the year (National Mediation Office, 2017). Trade unions, employers’ organisations and public institutions play a key role in the governance of the employment relationship, working conditions and industrial relations structures. They are interlocking parts in a multilevel system of governance that includes European, national, sectoral, regional (provincial or local) and company levels. This section looks into the main actors and institutions and their role in Sweden. Public authorities facilitate dispute resolution and make sure that laws are followed. They do not interfere with the collective bargaining tradition between social partners. The Ministry of Employment is responsible for labour market policy, working life policy and integration in Sweden. Important public authorities that lie under the Ministry of Employment are the Swedish Labour Court (Arbetsdomstolen), which rules on labour-related disputes, and the Swedish Work Environment Authority (Arbetsmiljöverket), the labour inspectorate that monitors and promotes health and safety measures at work. The Swedish National Mediation Office (Medlingsinstitutet) also lies under the Ministry of Employment. Its role is to mediate in labour disputes and promote efficient wage formation processes. In Sweden, industrial relations are based on trust and mutual understanding and the tradition of a self-regulating system of collective agreements is firmly established. The government’s legislative role is limited and there is no formal procedure for recognising employers’ or employees’ organisations. Instead, decisions regarding participating parties in bargaining processes are made through custom and practice. Trade unions have a traditionally strong role in the Swedish labour market. The right to become a member of a trade union is regulated in the Codetermination Act. Since the 1938 Saltsjöbadsavtalet agreement, trade unions and employers have had the right to negotiate wages and working conditions in collective agreements. While trade union membership has declined since the beginning of the twenty-first century, trade union membership in Sweden is still high by international standards. At the start of the twenty-first century, trade union density was around 80%. However, there was a large membership loss in 2007 when the government increased fees for the unemployment insurance funds, which are connected to the trade unions. According to the new regulations, the fees were to be based on the level of unemployment among the members. This meant that unions with higher levels of unemployment had higher fees. In addition, unemployment rose more among blue-collar workers than among white-collar workers during the European financial crisis, meaning that blue-collar union fees increased disproportionately to those of white-collar workers. As a result, blue-collar union membership fell by seven percentage points between 2008 and 2014, whereas white-collar union membership rose by two percentage points over the same period (Kjellberg, 2016). The fee differentiation was abolished again in 2014. Since 2008, the overall trade union density has been stable at around 70%. Note: membership data only covers active members. That means unemployed members are included but not pensioners, students or self-employed (except from 2015 and onwards when self-employed people organised by The Swedish Confederation of Professional Associations (Saco) are also included in the data). The Swedish Trade Union Confederation (Landsorganisationen i Sverige, LO) had 1.45 million members in 2016, of which 1.28 million were active members. LO is mostly associated with blue-collar workers. The Swedish Confederation of Professional Employees (Tjänstemännens Centralorganisation, TCO) represented 1.38 million members in 2016, of which 1.08 million were active members. TCO is mostly associated with white-collar workers. The Swedish Confederation of Professional Associations (Sveriges Akademikers Centralorganisation, SACO) represented around 680,000 members in 2016, of which 510,000 were active members. SACO is mostly associated with university graduate employees. Trade unions are demarcated by sector. There are approximately 60 trade unions, most of which are members of one of the three major trade union confederations mentioned above. In contrast to the trade unions’ declining memberships, employers’ organisations have not experienced any similar membership loss and have remained at a stable level for the past two decades. Today, employers’ organisation density is at a higher level than trade union density (Kjellberg, 2017). Membership is voluntary and, although exceptions exist (mainly in the commercial sector), usually includes the signing of a collective agreement. Note: Percentage of employees working in an establishment that is a member of any employers’ organisation that is involved in collective bargaining. On the employer side, there are three main organisations: one for the private sector and two for the public sector. The largest private employers’ organisation is the Confederation of Swedish Enterprise (Svenskt Näringsliv), representing approximately 60,000 small, medium and large companies. 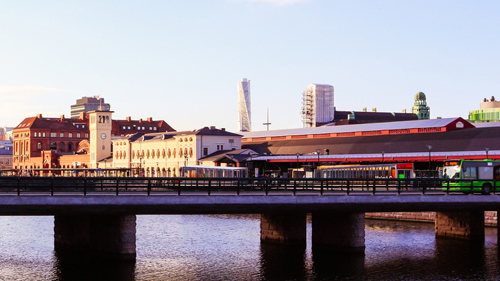 The Swedish Association of Local Authorities and Regions, SALAR (Sveriges Kommuner och Landsting, SKL) is the largest employers’ organisation for the public sector, representing 290 municipalities and 20 county councils with over 1 million employees. The Swedish Agency for Government Employers, SAGE (Arbetsgivarverket) is the membership organisation for government agencies. SAGE represents approximately 250 public authorities and agencies for the 250,000 government employees. Most employers with a collective agreement are also members of an employers’ organisation. If the employer wishes to sign a collective agreements without becoming a member of an employers’ organisation, they can opt for a voluntary extension agreement (hängavtal) directly with the trade union. Agreements between the confederations (peak-level organisations) are known as central agreements (centrala överenskommelser) . These generally concern negotiating procedures. Collective wage bargaining is done at the sectoral and local level. Tripartite negotiations are rare in Sweden. Sweden has a tradition of discussion and cooperation between the social partners that establishes the terms of collective bargaining. The social partners do not welcome intervention by the government, and the tradition of self-regulation through collective bargaining by social partners is strong. Negotiations tend to start a few months before the current collective agreement is set to expire. Social partners in the manufacturing industry are usually the first ones to start bargaining as the main collective agreement in that sector sets the benchmark for other sectors. The Swedish Trade Union Confederation generally coordinates its member organisations to put forward a joint bid. Many collective agreements are signed and set to expire in the same period, which makes for big and intense ‘bargaining rounds’. An important bipartite body is the Swedish Labour Court. This is a special court set up to rule on labour-related disputes. Both employer and employee interests are represented in the court. In addition, a significant development in recent times was the formation of the National Mediation Office in 2000, which was set up in order to help social partners reach agreements and promote a well-functioning wage structure. 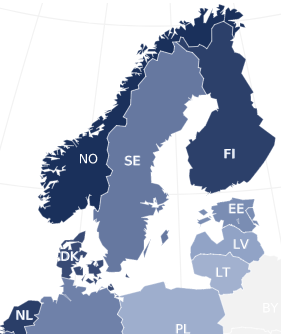 Sweden also has around 10 job security councils (trygghetsråd ), of which the three largest are Trygghetsrådet ( TRR) for the private sector, Trygghetsfonden (TSL) for parts of the private sector and Trygghetsstiftelsen (TSN) for the central government sector. The job security councils are bipartite bodies that help employees and employers handle labour market transitions. The job security councils are based on collective agreements. They help employees who have been made redundant find new employment. Trade unions: Trade unions are the most common form of employee representation. They are present in almost all workplaces where there are collective agreements, either as local representatives or as a local branch of a trade union. Trade union representatives negotiate on issues between employers and employees. The Employment (Co - determination in the workplace) Act (1976:580) regulates employees’ right to join a trade union. The right to engage in union activities in individual workplaces is regulated in the Trade Union Representatives (Status in the workplace) Act (1974:358). Health and safety committees: Health and safety committees are present in nearly all workplaces, either in the form of a safety representative, a regional safety representative or a safety committee. The role of the health and safety representative or committee is to ensure that the employer follows work environment regulations, both physical and psychological. The Work Environment Act (1977:1160) states that each workplace with five employees or more must have a health and safety representative. It is the Swedish Work Environment Authority’s responsibility to ensure that the Work Environment Act. is followed. Board representation: Employees have the right to have representatives on the board of private companies with at least 25 employees in order to gain insight into and influence the board’s work. This is regulated in the Board Representation (Private Sector Employees) Act (1987:1245). In the figure, we see a comparison between Sweden and European Union for the people with 'Establishment size : All' when asked 'Official structure of employee representation present at establishment'. For the 'Yes' answer, Sweden's score is higher than the European Union score. For the 'No' answer, Sweden's score is lower than the European Union score. The National comparisons visualisation presents a comparative overview for the values of all answers between two selected countries. In Sweden, social partners bargain free from government influence in both industrial relations and social dialogue. Collective agreements are a cornerstone of the Swedish system. While most collective agreements are negotiated at sectoral level, there is an increasing trend towards local-level agreements. The sectoral industry agreement, the Industrial Cooperation and Negotiation Agreement, is a benchmark for wage development in other sectors. It is becoming more common, in particular for white-collar employees, to conclude collective agreements with no stipulated wage increases (National Mediation Office, 2015). Another feature of the Swedish system is that collective agreements can differ from the law. While the law provides the framework, the social partners can negotiate terms that depart from the law, often in favour of employees. Collective wage bargaining coverage in Sweden is high by international standards: 9 out of 10 employees are covered by a collective wage agreement. In 2016, there were around 680 collective agreements in place according to the National Mediation Office. While the agreements are signed voluntarily, an employee organisation can take industrial action to obtain a collective agreement. Once signed, collective agreements are legally binding. Despite a decline in union membership, collective bargaining coverage has remained relatively stable for the last 10 years. Nine out of 10 employees were covered by collective agreements in 2015. Collective agreement coverage is higher among blue-collar workers than among white-collar workers; in 2015, an estimated 97% of blue-collar workers and around 85% of white-collar workers were covered. When looking only at the private sector, the difference is even higher (Kjellberg, 2017). The most common level of negotiation is the sectoral level. There are normally several sectoral agreements within each sector, often one covering blue-collar workers and another covering white-collar workers. Agreements are also negotiated at company level, but cross-sectoral agreements are uncommon. Sweden’s structure of collective bargaining has become more decentralised in recent decades (Kjellberg, 2009). The content of the sectoral agreements normally governs the agreements concluded locally. Employee insurance and pensions are examples of issues often covered at sectoral or even cross-sectoral level, while holidays and work environment issues are mostly negotiated at sectoral level. Wages and working hours are negotiated at sectoral or local level. The sectoral industry agreement, the Industrial Cooperation and Negotiation Agreement, has an intersectoral effect and is a benchmark for wage development in other sectors. Collective bargaining rounds tend to take place in the spring. Most agreements last for one to three years. The last major bargaining round was in 2017, when 511 of the around 670 collective agreements were renegotiated, affecting around 2.4 million workers (National Mediation Office, 2018). Wage bargaining coordination is primarily carried out through two mechanisms. First, the Industrial Cooperation and Negotiation Agreement sets the norm for wage bargaining in Sweden. A centrally agreed percentage pay increase by employer and employee representatives in the industrial sector that aims to ensure Sweden remains competitive sets the standard for pay increases in other sectoral agreements. Second, the trade union confederations often coordinate bargaining for employees organised in different trade unions covering several sectors. In 2016, the coordination of the organisations affiliated with the Swedish Trade Union Confederation broke down after an internal disagreement on how to remedy the wage gap between male-dominated and female- dominated sectors. However, in 2017 the unions coordinated negotiations again. In Sweden, it is not possible to extend collective agreements by decree or legislation. However, voluntary extension of collective agreements is rather common. Unorganised employers can sign agreements with trade unions (hängavtal). In 2015, 5% of workers in the private sector were covered by a collective agreement under this type of agreement (Kjellberg, 2017). In addition, employers with collective agreements must apply the provisions of the collective agreements to their employees, even if they are not members of the signatory trade union. Consequently, trade union density in Sweden is approximately 70%, while collective bargaining coverage is approximately 90%. Derogation from collective agreements is possible, but is a matter for contracting parties. There was a change in Swedish law in April 2010 (known as ‘Lex Laval’) stipulating that unions only could impose actions in order to instate a Swedish collective agreement under certain circumstances. Unions could not impose actions if the employer could show that the terms of employment are equal or superior to the central sector collective agreements. However, this law was repealed in 2017. Negotiations start a few months before the collective agreement expires. If an agreement is not reached, a mediator is called in. Once a collective agreement has expired and if no new agreement has been signed, employers and trade unions are allowed to resort to industrial action. If there is a collective agreement in place, neither employers nor trade unions may use industrial action. This peace obligation is regulated in the Employment (Co-Determination in the Workplace) Act (1976:580), as well as in all collective agreements. This means that industrial action can only be used once a collective agreement has expired or when there was no agreement in the first place. One exception to this rule is the use of sympathy action, i.e. industrial action used in order to show support for workers in another sector or occupation. Gender equality: Gender equality is addressed in collective bargaining and is considered important by both employers’ organisations and trade unions. In 2015, the National Mediation Office’s mandate was expanded to study the role that collective agreements have on gender wage equality. Training: Training is becoming an increasingly important part of collective agreements. The vocational introductory jobs are aimed at young, unemployed people with little or no experience and they combine work with training. One of the agreements, between Almega and LO, also concerned introductory jobs for disabled people. The Codetermination Act regulates collective agreements, employees’ right to trade union representation and the right to join a trade union or employers’ organization. There is no law that governs the type of industrial action that is allowed. Industrial action can take several forms. Trade unions usually begin industrial action through blockades (blockad), which implies that certain duties are not undertaken, like working overtime. If the conflict continues, more severe forms of industrial action can be used, such as strikes (strejk) and lockouts (lockout). The trade union, rather than the employer, is responsible for paying the employees during a strike or lockout, but this is normally less than the employee’s salary. Finally, members of a different union can take industrial action in support of the disputing union (sympatiåtgärd). Since the National Mediation Office was established in 2000, the number of strikes in a year has never been over 20. * The total number of working days lost, according to the National Mediation Office, was 37,072 in 2012, 7,084 in 2013, 3,450 in 2014, 234 in 2015 and 10,417 in 2016. The total number of employed people (16–64 years), according to Statistics Sweden’s Labour Force Survey, was 4,501,700 in 2012, 4,545,100 in 2013, 4,580,100 in 2014, 4,650,400 in 2015 and 4,727,900 in 2016. Source: National Mediation Office (2017), Stoppages of work in Sweden, private and public sector. The National Mediation Office is the public authority that provides mediators for collective agreement disputes, promotes efficient wage formation processes and provides public statistics on wages. Yet, the main principle is voluntary mediation in terms of the social partners themselves taking responsibility for bargaining and collective agreements. In the case of disputes regarding the risk of a strike or lockout being a danger to society, there are special committees that can settle these disputes. These conflict resolution bodies include representatives of the social partners involved, at times in cooperation with independent experts. Although dispute resolution in principle is voluntary, specific circumstances can make it compulsory. The National Mediation Office can in some situations (e.g. in the case of industrial action taken) appoint mediators, even without the approval of the partners involved. In addition, the government may decide on compulsory arbitration for contracts related to the common interest, e.g. the ones for civil servants. (A paragraph was added to the Codetermination Act in 2013 reinforcing the National Mediation Office’s role as a negotiator concerning collective bargaining between social partners, and not between individuals). In the case of legal disputes regarding how to interpret or implement a law or a collective agreement, the Labour Court functions as the final arbiter if the parties involved are (or usually are) bound by collective agreements. In fact, collective agreements commonly include provisions for certain types of disputes to be settled through arbitration. The main dispute resolution mechanism for individuals is the Swedish Labour Court, which hears and rules on all labour-related disputes between employers and employees. There was a similar number of mediations by the National Mediation Office in 2012 and 2013 (between 23 and 25 mediations). As the table shows, there were significantly fewer mediations in 2014 and 2015, before the number rose significantly again in 2016. In 2017, the National Mediation Office mediated in 15 conflicts. The figures reflect the share of collective agreements being up for renegotiation that particular year. There is no data on this topic, neither qualitative nor quantitative. Individual employment relations are the relationship between the individual worker and their employer. This relationship is shaped by legal regulation and by the outcomes of social partner negotiations over the terms and conditions governing the employment relationship. This section looks into the start and termination of the employment relationship and entitlements and obligations in Sweden. According to the Swedish Work Environment Authority, the minimum working age for labour that is not physically or mentally challenging is 13 years of age. For all other work, the minimum working age is 18 years. In the private sector, the employer is generally free to choose employees as long as it is within the bounds of the law. For example, the employer cannot unlawfully discriminate. The Employment Protection Act regulates that the employer must provide written information to the employee on the conditions of the employment within one month of the employee starting. The laws concerning governmental employees are somewhat stricter and are additionally regulated in the Public Employment Act (LOA 1994:260). With some exceptions, employment contracts are permanent. Temporary contracts expire on their termination date. Permanent contracts can be terminated for two reasons: redundancy or personal reasons. Redundancy implies that the contract is terminated for organisational reasons, such as lack of work. Personal reasons imply that the employee has not properly conducted their job. Dismissal and termination processes are regulated in the Employment Protection Act and the Codetermination Act. Collective agreements can offer alternative procedures than those decided by law. The Employment Protection Act has been highly debated in recent years. An important aspect has been the ‘last in, first out’ principle, which implies that the person who has worked the shortest amount of time in the workplace is the first to leave if there are redundancies. Maternity and paternity leave is called parental leave in Sweden, as both parents qualify for paid leave. Parental leave is paid for approximately 16 months (480 days). Ninety days are reserved for each parent, while the remaining 300 days can be split whichever way the parents wish. According to the Swedish Social Insurance Agency (Försäkringskassan), the proportion of parental leave taken by fathers has increased, but remains well below maternity leave (paternity leave represents around one-quarter of all parental leave days taken). 480 days of paid leave, of which 90 days are reserved for each parent. (Maternity leave can be taken from 60 days before the due date). Föräldraledighetslagen (1995:584) regulates the right to have time off when having a child. Socialförsäkringsbalken (2010:110) and collective agreements regulate reimbursement. When an employee is on sick leave for 14 days or less, the employee has the right to obtain sick pay for 80% of the salary, except for the first day, which is unpaid (karensdag). When the employee is sick for more than 14 days (or if unemployed), sick pay is provided by the Swedish Social Insurance Agency ( Sickness benefit (sjukpenning) ). The employer may terminate the employment relationship as long as the termination does not contravene the Employment Protection Act. Sweden has a flexible retirement system. The retirement age is between 61 and 67 years, and normally happens at 65 years of age. There are no gender differences in retirement age. Everyone has the right to work until they are 67, and there is no upper limit on when an individual must stop working. Like elsewhere in Europe, there has been a recent debate in Sweden about whether or not to raise the retirement age – a difficult task in a country that has no firm retirement age. The former government set up an inquiry ( Pensionsåldersutredningen ) to investigate the matter. In the inquiry report (SOU 2013:25), several suggestions were presented on how to reach a standard of a longer working life, such as raising the upper age limit for the right to work from 67 to 69 from 2016 (in 2017, this suggestion has not yet been realised , a parliamentary majority agrees on the need for the reform and the bill is very likely to pass). Pay: For workers, the reward for work and main source of income; for employers, a cost of production and focus of bargaining and legislation. This section looks into minimum wage setting in Sweden and guides the reader to further material on collective wage bargaining. Between 2009 and 2015, wages increased by an average of 2.7% in the private sector, and slightly higher in the public sector. One sector which stands out in terms of wage increases is the commerce sector (G below). (National Mediation Office, 2017). As is evident from the table below, in all sectors except for E - Water supply; sewerage; waste management and remediation activities, and H - Transport and storage, men’s monthly basic wages are higher than women’s. The largest gap can be found in sector K - Financial and insurance activities. Sweden does not have a statutory minimum wage. Wages are set following negotiations between the social partners at sectoral and local level. Of around 500 collective agreements that were signed in 2013, nearly two- thirds contain terms regarding minimum wages or tariffs (National Mediation Office, 2014). Working time: ‘Any period during which the worker is working, at the employer’s disposal and carrying out his activities or duties, in accordance with national laws and/or practice’ (Directive 2003/88/EC). This section briefly summarises regulation and issues regarding working time, overtime, part-time work as well as working time flexibility in Sweden. Working time in Sweden is set in the Working Hours Act (ATL 1982:673) and in collective agreements. While the norm is set by the law, it is possible to depart from the law in collective agreements, often to the benefit of employees. With some exceptions, the statutory maximum weekly working time is 40 hours. This is shortened in some collective agreements. The average weekly working hours for full-time employees in 2015 was 40.7 (Eurostat). According to the Annual Leave Act (Semesterlagen 1977:480), the statutory minimum annual paid leave is 25 days. There have been recent debates on shortening the working week in Sweden, although the law remains unaltered. In a well-publicised example, 70 employees at a nursing home in Gothenburg reduced their working week to 30 hours per week from February 2015 in order to study the effects on healt, sick leave and labour market outcomes (DN, 2015). The results showed that those working six hours per day instead of eight experienced an increase in well-being and felt less stressed, which resulted in overall improvements in the working environment. The project ended in December 2016. Overtime is defined as time that exceeds normal working hours. For work that includes standby or on-call hours, overtime is time that exceeds on-call hours. According to the Working Hours Act, on-call hours cannot exceed 48 hours per employee over a four-week period or 50 hours per month. In general, an employee is legally not allowed to work more than 50 hours of overtime per month and 200 hours of overtime per year. It is possible for an employer to circumvent the law in collective agreements, but these agreements must still adhere to the EU Working Time Directive. An agreement cannot be signed where the working hours are more than 48 hours per week over a four-month period (Vision).Employees can receive compensation for overtime under collective or individual agreements, either in the form of payment or time off in lieu. It is possible to individually negotiate for extra pay or time off in place of overtime compensation. Part-time employment is defined as employment that is less than full-time employment (in other words, less than 40 hours per week). Working hours for part-time employment are determined contractually. Extra time (mertid) for part-time work roughly corresponds to overtime for full-time work. It is defined as the hours above the contractually agreed time and below normal working hours under full-time employment. In general, an employee can work at most 200 hours of extra time per year (Vision). It is possible to negotiate different terms in collective agreements. Part-time work is relatively prevalent in Sweden. In 2017, 21.9% of people in employment worked part time, which is above the EU28 average of 18.7% of total employment for the same year. It is much more common for women to work part time than for men. More than one in three women work part time, compared to only one in eight men. Involuntary part-time workers can be defined as those working part time because they could not find a full-time job. Data from EU-LFS shows an increase for both women and men in the EU 28 for the last decade. The share of involuntary part-time workers has remained fairly consistent since 2012, as in the EU overall. Voluntary part-time work in Sweden is more common among blue-collar workers, while a larger share of white-collar workers choose to work part time (predominantly women). Night work means any work that includes the period between 22.00 and 06.00. As defined by The Working Hours Act (Arbetstidslagen), the working time for night work must be limited to a maximum of 8 hours within each 24- hour period (by average, counted on a period of maximum four months). Shift work is not legally defined, but it commonly means any work at different times over a given period of days or weeks. The Working Hours Act defines that employees must have at least 11 hours free from work during each period of 24 hours. These 11 hours must include the period between midnight and 05.00. (Exceptions are allowed if there are special reasons why the work needs to be performed during night-time). In addition, employees are allowed a minimum of 36 hours’ rest for each period of seven days, a leave that should be scheduled for the weekend, if possible. Weekend work is not legally defined, but it commonly means work at Saturday and/or Sunday. The regulations for this type of work are included in the ones regulating shift work, as described above. The regulations for ‘rest period’ (meaning any period which is not working time) are included in the ones for shift work, as described above. A break means a period during the working day for which the employees are not obliged to stay at the working place. The breaks should ensure that the workers do not work for more than five hours continuously and should be adapted – in terms of number and length - to the working conditions. In addition, it is the responsibility of the employer to arrange the work so that the workers can take the pauses needed (in contrast to the breaks, pauses are included in the working time). Working time flexibility can be negotiated in collective or local agreements. There is no legal requirement for working time flexibility in Sweden. Flexitime is relatively common in Sweden. According to the European Company Survey 2013, nearly half of all establishments with 10 employees or more offer flexible working hours to over 80% of their employees. Flexible working hours are somewhat more common among larger establishments than smaller establishments. In the figure, we see a comparison between Sweden and European Union for the workers with 'Age : All' when asked 'Do you have fixed starting and finishing times in your work?'. For the 'No' answer, Sweden's score is higher than the European Union score. For the 'Yes' answer, Sweden's score is lower than the European Union score. Data is based on question 39d from the sixth European Working Conditions Survey (2015).The National comparisons visualisation presents a comparative overview for the values of all answers between two selected countries. Maintaining health and well-being should be a high priority for workers and employers alike. Health is an asset closely associated with a person’s quality of life and longevity, as well as their ability to work. A healthy economy depends on a healthy workforce: organisations can experience loss of productivity through the ill-health of their workers. This section looks into psychosocial risks and health and safety in Sweden. Between 2008 and 2014, 21,000–25,000 working days were lost due to accidents at Swedish workplaces that resulted in four days’ absence or more. There was a significant drop in days lost between 2008 and 2009, in parallel with the start of the financial crisis that led to many blue-collar employees in particular losing their job. The number of days lost per 1,000 employees was then roughly stable at around 6 for a few years, which is relatively low by EU standards. In 2014, the number of working days lost per 1,000 employees decreased to 5. The Swedish Work Environment Authority publishes statistics on the number of accidents and work-related illnesses in their statistical database, as well as the number of fatal accidents. In 2015, 32,279 occupational accidents resulted in at least one day’s absence. There were more accidents among men (18,479) than women (13,800), and most accidents happened within health and social care (6,394), manufacturing (5,968) and construction (3,585). Among the Swedish workforce, there were 45 fatal accidents in 2012, 35 in 2013, 41 in 2014, 34 in 2015 and 37 in 2016. In Sweden, physical and psychosocial safety is regulated in the Work Environment Act (AML 1977:1160). It is the employer’s responsibility to take the precautions necessary to prevent illness and accidents in the workplace, while it is the employee’s responsibility to follow instructions and partake in work environment discussions. The employer must systematically examine and evaluate psychosocial risks and occurrences. According to Eurofound’s 6th European Working Conditions Survey, published in 2016, Sweden is one of five countries among the EU28 with the highest index for work intensity (an index that measures the level of work demands). 28% of employees has a job that includes working to tight deadlines all the time. Sweden is also among the five countries with the highest average number of long working days (meaning working more than 10 hours a day), 3.1 per month. 55% of the Swedish employees work more than 10 hours a day at least once per month. Finally, 11% of employees had been subjected to discrimination over the past 12 months. In the figure, we see a comparison between Sweden and European Union for the workers with 'Age : All' when asked 'Do you have enough time to get the job done?'. For the 'Always or most of the time' answer, Sweden's score is lower than the European Union score. For the 'Rarely or never' answer, Sweden's score is higher than the European Union score. For the 'Sometimes' answer, Sweden's score is higher than the European Union score. Data is based on question 61g from the sixth European Working Conditions Survey (2015).The National comparisons visualisation presents a comparative overview for the values of all answers between two selected countries. Skills are the passport to employment; the better skilled an individual, the more employable they are. Good skills also tend to secure better-quality jobs and better earnings. This section briefly summarises the Swedish system for ensuring skills and employability and looks into the extent of training. Under some collective agreements, the employer is responsible for ensuring that the employee has the right competencies (Unionen). In addition, the employee has the legal right to take study leave from work if they have been with their employer for six months or more. This is regulated under the Employee’s Right to Educational Leave Act (Studieledighetslagen 1974:981). As mentioned above, Sweden has around 10 job security councils (trygghetsråd). These are bipartite bodies that, under collective agreements, provide support to employees and employers before and during layoffs. The job security councils offer advice, economic assistance and skill development. The Swedish Public Employment Service (Arbetsförmedligen), an agency under the Ministry of Employment, works to match jobseekers and employers. One method is through labour market training (arbetsmarknadsutbildningar). Labour market training is a type of training that is used for the unemployed or those who are at risk of unemployment in order to increase the jobseeker’s competencies and chance of finding work. The European Company Survey 2013 shows that more than 80% of employees in around one-third of establishments in Sweden receive paid time off for training. The share that receive paid time off for training is highest among medium-sized establishments (50–249 employees) with employee representation, while the share is lowest for medium-sized establishments without employee representation. In general, there is a somewhat greater tendency for establishments with employee representation to offer paid time off for training. In the figure, we see a comparison between Sweden and European Union for the workers with 'Age : All' when asked 'Have you had on-the-job training in the last 12 months?'. For the 'No' answer, Sweden's score is lower than the European Union score. For the 'Yes' answer, Sweden's score is higher than the European Union score. Data is based on question 65c from the sixth European Working Conditions Survey (2015).The National comparisons visualisation presents a comparative overview for the values of all answers between two selected countries. Work organisation underpins economic and business development and has important consequences for productivity, innovation and working conditions. Eurofound research finds that some types of work organisation are associated with a better quality of work and employment. Therefore, developing or introducing different forms of work organisation are of particular interest because of the expected effects on productivity, efficiency and competitiveness of companies, as well as on workers’ working conditions. Ongoing research by Eurofound, based on EurWORK, the European Working Conditions Survey and the European Company Survey, monitors developments in work organisation . For Sweden, the European Company Survey 2013 shows that between 2010 and 2013, 58% of establishments with 10 or more employees reported changes in the use of technology, 59% introduced changes in ways to coordinate and allocate the work to workers and another 23% saw changes in their working time arrangements. A comprehensive Work Environment Survey is undertaken biannually by the Swedish Work Environment Authority. In the 2015 survey, 53% of employees, and a larger share of women compared to men, experience that they have too heavy workloads. In addition, today’s communication technology has resulted in the opportunity of always being available: 40% of employees claim that their employer expects them answer work-related phone calls in their free time. Regarding exposure to physical and chemical factors, 25% of employees (of which the majority are men) are exposed to noise at least one quarter of their working time. Women are the ones most commonly exposed to skin contact with detergents (one of five employees, compared to one of ten employees for men). Studies have showed that working environment can be related to sleeping disorders and around one third of employees had difficulties sleeping at least once a week in the last quarter, of which the majority were women. In the figure, we see a comparison between Sweden and European Union for the workers with 'Age : All' when asked 'Are you able to choose or change your methods of work?'. For the 'No' answer, Sweden's score is lower than the European Union score. For the 'Yes' answer, Sweden's score is higher than the European Union score. Data is based on question 54b from the sixth European Working Conditions Survey (2015).The National comparisons visualisation presents a comparative overview for the values of all answers between two selected countries. Questions regarding work organisation are included in the Work Environment Survey. In 2015, 27% replied that their work entails a high degree of responsibility but low levels of control. Discrimination in Sweden is regulated by the Discrimination Act (Diskrimineringslagen 2008:567 ), which, among others, prohibits unlawful discrimination on the labour market. The employer has a duty to ensure the workplace is free of discrimination. Any cases of discrimination or harassment can be reported to the Equality Ombudsman (DO), a public agency with the mandate of investigating cases and bringing them to court. The main wage-setting debate during 2014 concerned closing the gender wage gap. Following this debate, the National Mediation Office’s mandate to promote efficient wage setting was extended from 2015 to analyse the impact of collective agreements on gender equality. The report that was published in the very same year concluded that – although some uncertainty related to the structure of the wage statistics – the construction of the collective agreements does not seem to significantly affect the gender wage gap. According to data from Eurostat, the unadjusted (also called the unweighted) gender wage gap in Sweden was 13.8% in 2014, after having gradually decreased by a few percentage points over the last decade. According to the National Mediation Office’s 2015 report on gender wage differences, the gender wage gap is continuously decreasing and in 2015, women had an average of 87.5% of men’s wages (which is a decrease of 0.7 percentage points compared to 2014). The largest difference between men’s and women’s wages were found in the county councils (22.4%), whereas the municipalities showed the smallest difference (4.6%). The weighted or the unexplained gender wage gap for 2015 (meaning the gender pay gap that remains after differences in occupation, sector, education, age and working time have been accounted for) was 4.6%. The largest unexplained gender wage gap is here found among white-collar workers in the private sector (7.7%) and the difference in the county councils and municipalities is instead smaller (3.9% and 0.4% respectively). In sum, the unweighted as well as the weighted gender wage gap has decreased during the last decade, but varies significantly among different sectors. In order to prevent unjustified gender pay gaps, employers are obliged to conduct annual wage surveys. The wage surveys were introduced in 1994, and were recently strengthened to become fully-fledged pay audits. From January 2017 onwards, an annual mapping of wages at the workplace is mandatory for all employers. The mapping should include an analysis of policies on wage and other employment conditions used by the employer; Pay inequalities between men and women performing the same tasks; Pay inequalities between men and women performing equivalent tasks (in terms of demands and responsibility); Pay inequalities between tasks that are female-dominated and not female-dominated (if the non-female-dominated tasks are less demanding but pay better). The purpose of the analysis is to reveal structural discrimination at the workplace that the employer needs to deal with. For workplaces with 10 or more people, the analysis has to be documented (‘pay audits’). Establishments with more than 25 employees have to make a wage action plan. The plans need to be made accessible to the trade unions which are in charge of the relevant collective agreement as well as the Equality Ombudsman. There are no labour market quota regulations in Sweden. DN (2014), ‘Fridolin hotar med kvotering i börsbolag’ [Fridolin threatens quotas in listed companies], 30 September. DN (2015), ‘De ska jobba mindre – men med samma lön’ [They are going to work less – but for the same wage], 1 February. GP (2013), ‘Pensionsutredningen i korthet’ [Pension investigation at a glance], 9 April. Kjellberg, A. (2009), Industrial relations foresight 2025 for Sweden: Presentation of results and comments, updated 30 December 2010, Department of Sociology, Lund University, Lund. Kjellberg, A. (2016), Kollektivavtalens täckningsgrad samt organisationsgraden hos arbetsgivarförbund och fackförbund [Collective bargaining coverage and union density of employers’ associations and trade unions], first published 1 January 2010, last updated 8 March 2016, Department of Sociology, Lund University, Lund. National Mediation Office (2014), Avtalsrörelsen och lönebildningen 2013 [Wage bargaining and wage formation in 2013], Swedish National Mediation Office, Stockholm. National Mediation Office (2015a), Siffror och diagram om medlemsantal, organisationsgrad och kollektivavtalstäckning [Figures and diagrams on membership, union membership and collective bargaining coverage], Swedish National Mediation Office, Stockholm. National Mediation Office (2015b), Avtalsrörelsen och lönebildningen 2015 [Wage bargaining and wage formation in 2015], Swedish National Mediation Office, Stockholm.